Use your free voice recognition system with caution! When free comes with a heavy price tag! Do you get up at pre-dawn for a Hollister sale? Free is the word that makes the world go round. And if there is one phrase that all of us have Googled for it is free downloads. 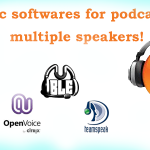 An increasing number of speech recognition firms are offering free downloads of their software. It is easy to use, puts an end to pricey transcribers and is most importantly free. Voice recognition seems to be the favorite choice for startups. Imagine a cash strapped youngster, living a paycheck to paycheck existence, stumbles upon a free speech to text service. Well, his face lights up. 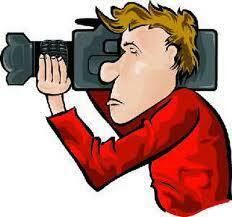 Enough, of, looking for, and chasing after transcribers, for a transcript! Or, typing till his hands hurt. There is a solution that is straight from tech heaven. He types out his first email and would still be happy with his latest download, as long as he doesn’t read it out. Was, it really wreck a nice speech? Nope. Ironically it was recognize speech, and that is how spot on voice to text softwares. They are of great help when you have a few minutes of recording that professional transcribers, charge a lot for, or wouldn’t touch with a barge pole. 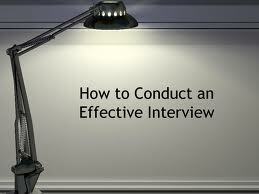 It makes sense to use software and convert your recording into text. But if it is a long recording and your transcript is going to be used for documentation purposes, you are better off with a professional transcriber. 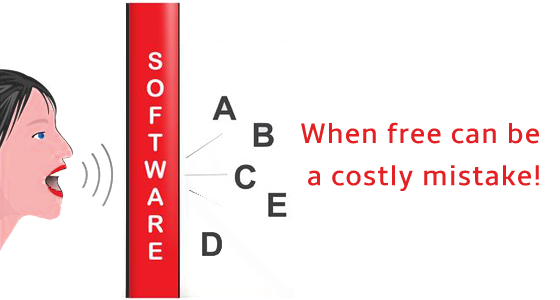 Using a free software can lead to costly mistakes. Have you ever told your BFF “go kill yourself”? A voice recognition user almost did! The fact that voice recognition software tends to churn out stuff, that is way out of the ballpark no longer, surprises people. Okay, to be honest it doesn’t even get the titters that it usually does. Those funny speakos no longer arouse interest. But it is certainly worrisome when a well-intentioned phrase, gets a sinister spin. Oops I wouldn’t say that to a friend! A user of a voice recognition system recently blogged about her harrowing experience with it. Her well-meaning and perfectly harmless “heal yourself” sent to a depressed friend ended up being transcribed as “kill yourself”. She luckily read her mail before hitting send. That’s why it is dangerous to use voice recognition, without carefully going through what it’s typed. And why sometimes free or inexpensive can end up being a costly mistake! 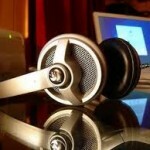 Transcription applications – The perfect solution! 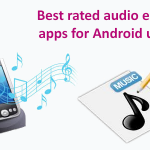 Best rated audio editing apps for Android users! Download for free to compose what you want! How to make your video based training session’s fun!! !